He is scared. It’s the deep end. 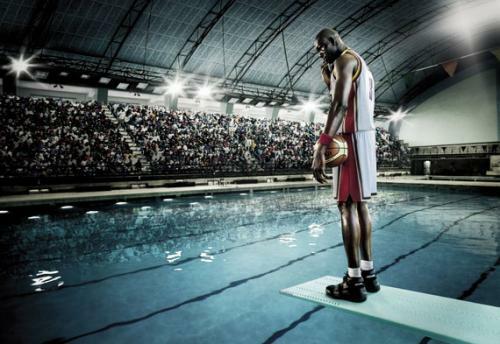 Nope, not this time – he’d have a hard time dribbling in the water.